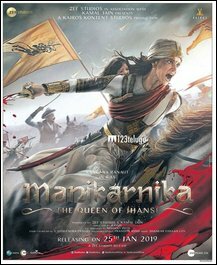 After director and actor, co-producer to quit Manikarnika? it looks like Manikarnika: The Queen of Jhansi, a biopic on the warrior queen Jhansi Laxmi Bai, is in serious trouble. Already, the film’s original director Krish and actor Sonu Sood have quit the project due to compatibility issues with the films leading lady Kangana Ranaut. And in a latest shock, Manikarnika’s co-producer Sujay Kutty, the business head of Zee Studios who had green singled the film, too has walked out of the project. Apparently, the film’s original budget was 70 crores. But it has now shot up to over 100 crores, making it an unviable project and this has led to Sujay Kutty’s exit. According to the reports in Bollywood media circles, Manikarnika may be postponed as the film will not be ready for the January 25 deadline.